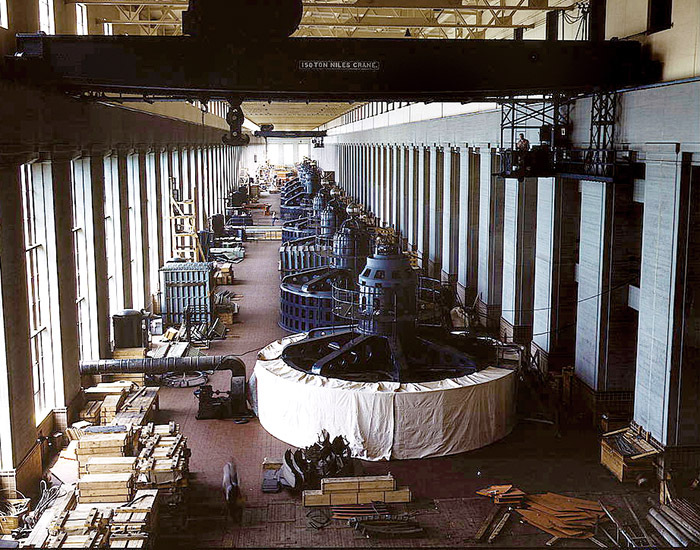 Eight generator units are seen in the Tennessee Valley Authority's (TVA) hydroelectric plant at Wilson Dam near Sheffield in Colbert County. The dam was built during World War I to power nitrate plants and was acquired by TVA in 1933. The dam is one of the largest in TVA's system, with a total of 21 generators. Courtesy of Library of Congress. Photograph by Alfred T. Palmer.